It's no secret that Autumn is my favourite season. Now that we are in October, I can start to think about Halloween, but I am also keen to add more cosiness to our home with a few Autumnal touches. It's important to me that at the end of the day, I feel warm, cosy and comfortable and it's not expensive to add a few key pieces that make all the difference. 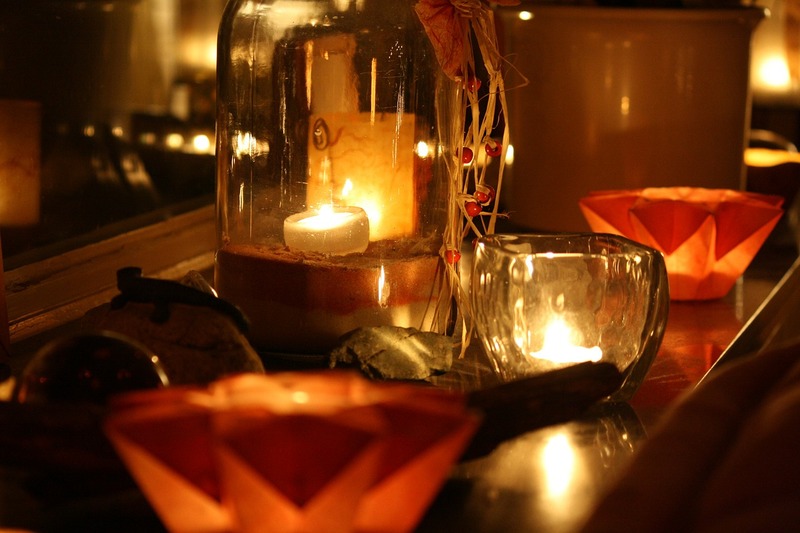 So here are five easy and inexpensive ways to add autumn cosiness to your home. Add a throw or two to your sofa or bed. I seem to collect more and more throws each year. I like co-ordinating them so that they match my colour scheme. Just like in this image, I like to drape them over the arms of the chair, when they aren't being used. 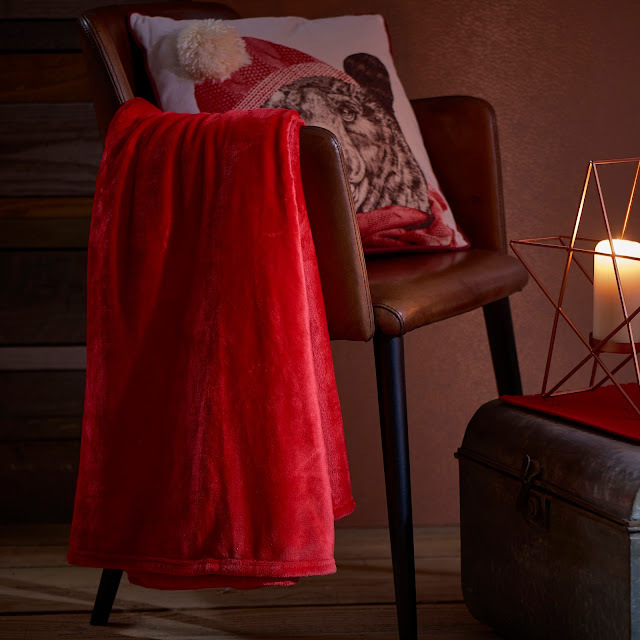 Even though we all probably have our central heating on by now, its still lovely to wrap a snug throw around your legs while you watch TV in the evening. This one is from Wilko and costs just £5.00. It is also available in a variety of different colours. Get some new blackout curtains to keep the heat in. Blackout curtains are really useful all year round. They keep a room cool in summer, but keep the heat in, in the cooler weather. 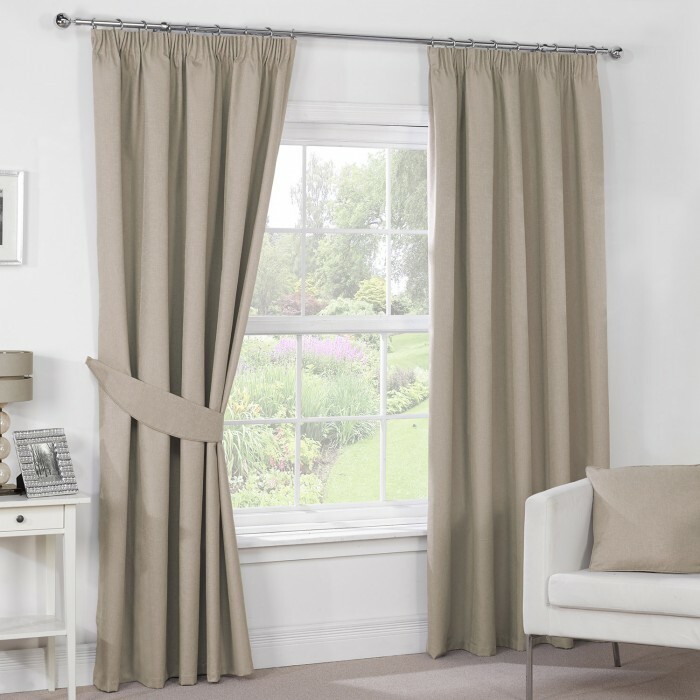 I already have blackout curtains in the children's rooms to keep the rooms dark in summer, but think I would like to possibly buy some blackout curtains from Julian Charles for my lounge. This pair, pictured, would work well for Autumn with their beautiful mink colour. Autumn browns, oranges and red cushions would go lovely with them. Treat yourself to some fresh Autumn themed flowers. Just last weekend, I bought some gorgeous Hypericum from Aldi and they have looked lovely in the kitchen all week. In fact, every time I go to Aldi, I find myself picking out a seasonal bunch of flowers. They are so well priced and are a perfect pick me up at the end of a hard week at work. I have written about my love of cushions before on my blog and often find myself hunting down the latest seasonal styles. I like to place them around the house, to add a seasonal twist. 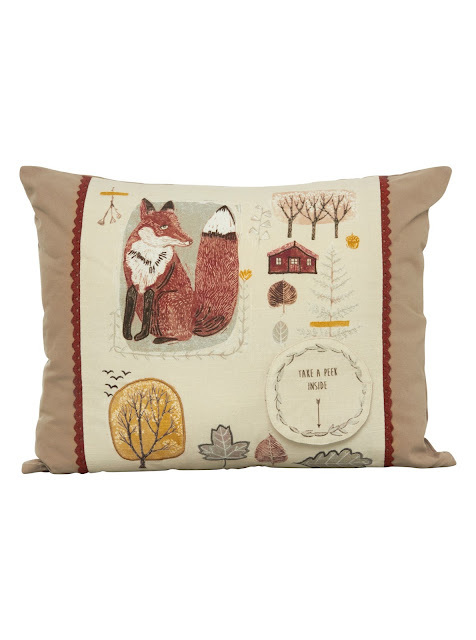 This Fox one from ASDA is so cute. I love the fox, the little houses and the colours in this one, priced just £8.00. Treat yourself to some new candles. I've recently written about the new Yankee Candle Autumn inspired scents, that are really lovely. 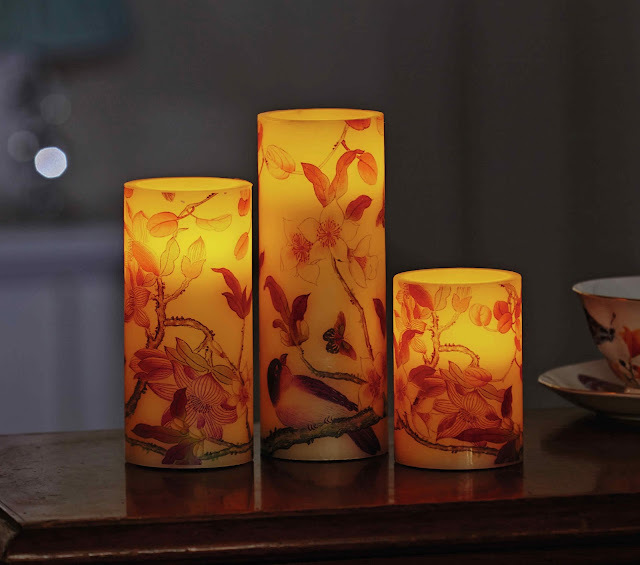 As an alternative to a real flame, I love the look of these from House of Bath. They are made from real wax, but contain an LED light inside, which is perfect for turning on when you have little ones around. And that's it for this week. How do you make your home cosy for Autumn? I would love to hear your ideas in the comments below.